This is my current set up in terms of rigging gear that I take out on my own private jobs. 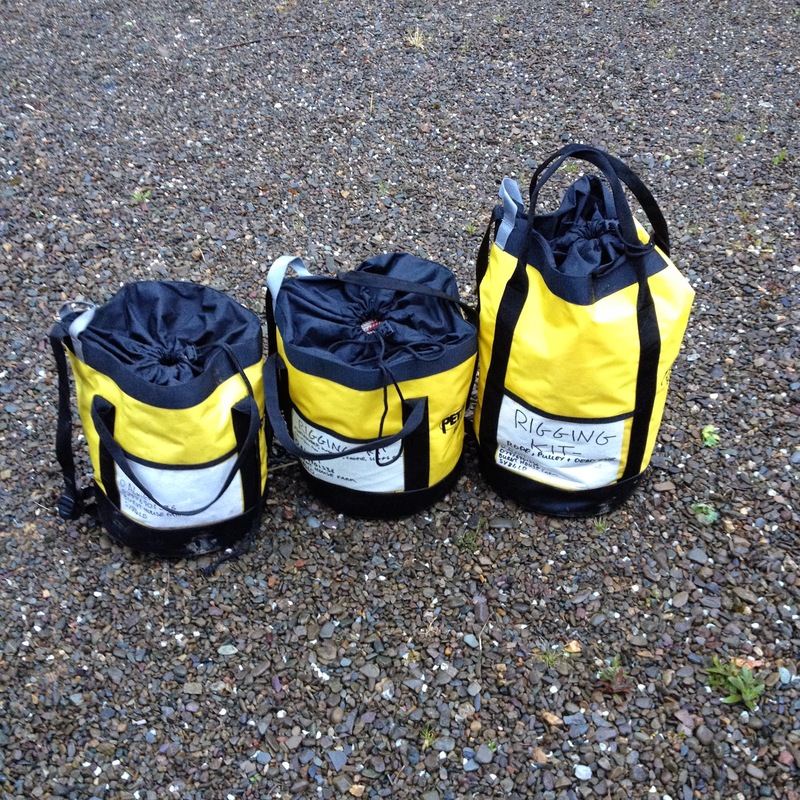 I've talked about these petzl bags before, still can't say enough good things about them. 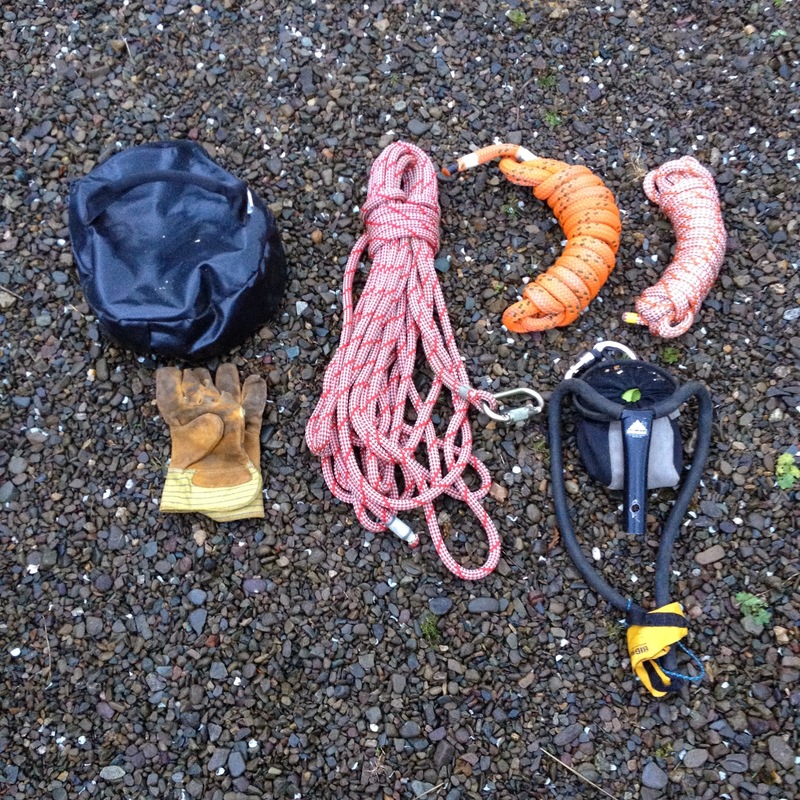 First up in the large (35lt) bag I have 60m of 16mm Sirius Bull rope and a 4m long 16mm dead eye sling with a small ISC cast pulley attached, this kit only comes out on big jobs or if I don't know the job (i.e. freelancing) then I may chuck it in as well. 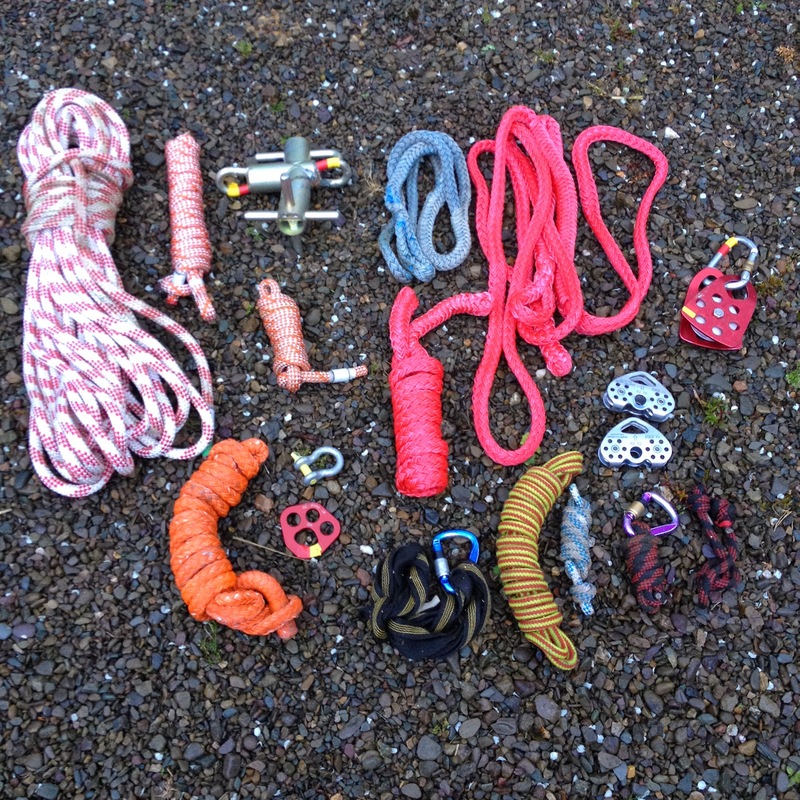 Then in the first small (25lt) bag I have a selection of things; 30m 14mm sirius bull rope, 5 m dead eye, small ISC portawrap, small woopie sling, large woopie sling, Medium ISC swing cheek lowering pulley with steel dmm crab, 2m split tail, large loopie sling, x2 petzl tandem pulleys, another smaller woopie (orange) , small mallion, small rigging plate, 2m tape sling and crab, 10m length of xtc line, couple of lengths of hitch cord. The idea with this bag was to have everything I'd need for small/medium scale lowering, as well as all the other trinkets you occasionally need for complicated lowering jobs. 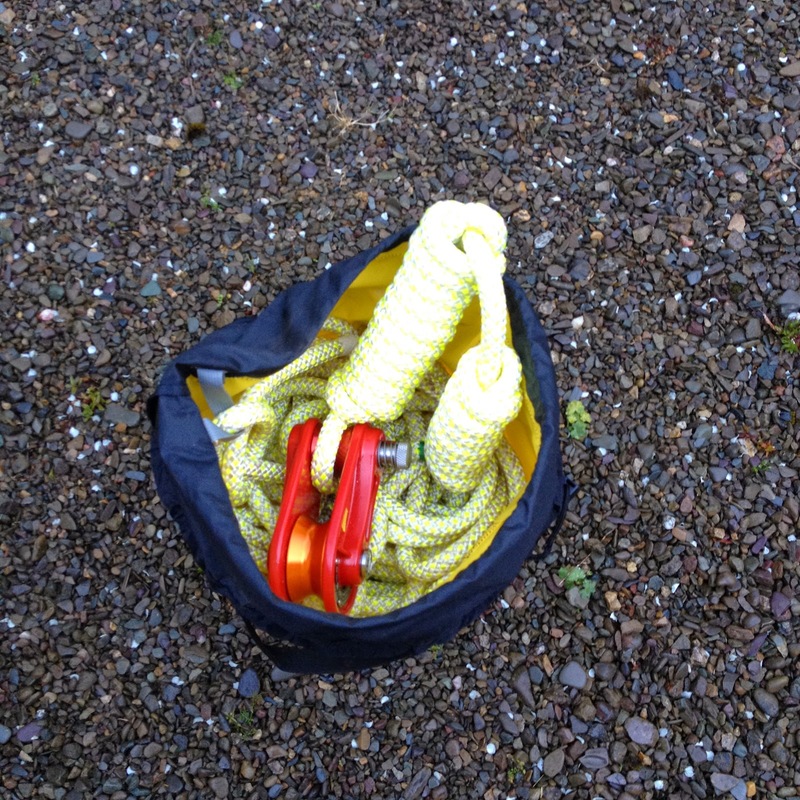 The 30m rope is usually sufficient for most small trees and also comes in handy as a second line if using the bigger rope. The tag line has come in handy on numerous occasions, especially on those jobs where I've been told there is no rigging to do and then discover that there definitely is!